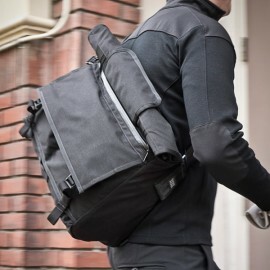 Home Page | Posts tagged "rolltop"
Have you ever been stuck in a downpour somewhere with a pack or messenger bag that contains your laptop, tablet/iPad, cell phone, or other electronic device only to get home and realize it has been damaged by moisture? You need something reliable to protect your items. Consider the Chrome Cardiel : ORP Pack. Welcome to another episode of Mike’s Bikes review. 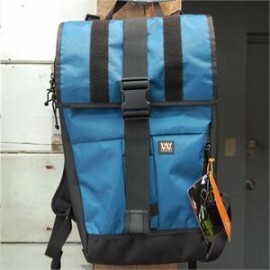 I’m going to be showing you the Mission Workshop Rummy Rolltop Messenger Bag. 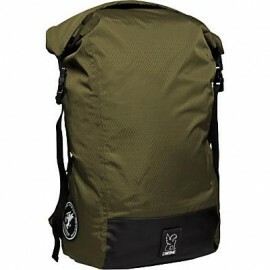 Mission Workshop is a company based out of San Francisco. They create and design bike-related products. Check out the highlights video. I’m amazed how much you can fit into one of these Vandal packs.